Are you looking for an estimated fair market valuation for your dental practice? 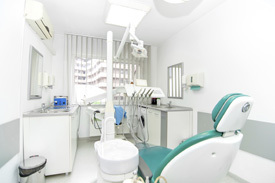 Do you have questions about selling your dental practice? Choice One Dental Care helps dentists in Georgia and South Carolina get the information they need to make the right decision for their dental practice, and their future. Give us a call or fill out our contact form below to request your free dental practice valuation!